UPDATE: Mardi Gras Galveston! 02/22-03/05/2019: Mardi Gras Galveston Happening Costume Ideas & Masks, Laser Cut Mardi Gras Masks and all Costumes imaginable. Before you go to Galveston, come to Dallas Vintage Shop for Fantastic Costume Ideas! It’s worth the trip! Don’t miss Dickens on the Strand in Galveston this Nov. 30-Dec. 2, 2018. Come to Dallas Vintage Shop for all the Costumes & Accessories yo need for Dickens Theatrical Productions, Theme Party Costumes or Dickens Town Festivals or Dickens on the Strand Parade Attire. Christmas Family Portrait Ideas: Photos of Dickens on the Strand Victorian Holiday Family Event. Dickens on the Strand Dates are Nov. 30-Dec. 2, 2018. One of Texas most amazing Holiday Event Ideas is Dickens on the Strand in Galveston, Texas. Dallas Vintage Shop has enough Dickens Era Clothing and Costumes for everyone in the family. Are you ready for Dickens on the Strand 2018 in Galveston TX? 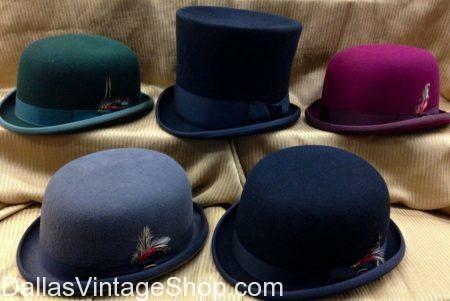 We have everything you need from Complete Dickens Era Outfits to just the accessories you need like Victorian Bowler & Derby Hats, Victorian Tailcoats, Top Hats, Ascots, Canes & so much more. Dickens on the Strand Dates Nov. 30-Dec. 2, 2018. Looking for Texas Style Mardi Gras Amazing Costume Ideas? Come to our Mardi Gras Superstore, Dallas Vintage Shop. We will gladly help you create your Dream Costume. Remember. Mardi Gras GALVESTON’s 108th Mardi Gras Celebration! It’s a Parade, Party, Music, Festival & Food Extravaganza! When? 02/22-03/05/2019. Keep warm in these Lush Victorian Hooded Cloak. We have everything you need for Dickens Era Costumes & Dickens Fancy Costume Accessories. Dickens on the Strand Dates: Nov. 30-Dec. 2 2018 Galveston, TX. These Victorian Cloaks are great for Christmas Caroling or standing outside when you are watching the Dickens Christmas Parade in Galveston. You are in Galveston category.